The Certified Service experts at Dover Chevrolet know precisely which parts your Chevrolet car, truck, or SUV needs —rely on them to maintain your vehicle with the same parts used to build it. Hearing a rattle? Had a fender bender? Head down the service lane for any type of auto repair service, major or minor. Our GM Certified Service experts are trained to know every inch of your vehicle and can help you keep it running like new. Simply schedule an appointment today. With your Multi-Point Vehicle Inspection, you get a thorough assessment of your vehicle by the Certified Service experts. So protect yourself and your automotive investment with a comprehensive vehicle inspection at your Dover Chevrolet in Dover, NH. Your Chevrolet’s tires are the first and only contact with the road, so it is important to choose the right set when replacing them. Dover Chevrolet has Certified Service experts that will handle all of your tire needs. From checking tire wear to tire pressure our team can help you find new tires for your Chevrolet. Stopping power is crucial to a safe and successful driving experience. When you need brake service, visit Dover Chevrolet and the GM Certified Service experts can recommend quality new brakes. Come to us for prompt and reliable Chevrolet service in Dover near Somersworth. Our dealership has the best technicians, they are knowledgeable and would take good care of your vehicle. Dover, NH, the Chevrolet service and repair offered at our dealership near Somersworth is better than anyone else. We also have world-class diagnostic equipment for repairs and maintenance of your vehicle. The service can be scheduled online as well. So what are you waiting for? Schedule an appointment with our trained technicians at Dover Chevrolet. 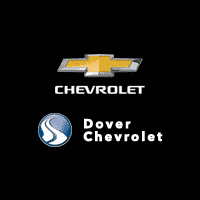 Visit us for quality Chevrolet service in Dover near Somersworth. We believe in offering the best service to our customers. Get your vehicles repaired at Chevrolet service department near Somersworth.